Traffic - Bicycle with a Belt. Across-genres...that's how the second generation of the Traffic bicycles from our production could be characterized. The best from the old times cycling meets the current technology and together they create a unique complex inspired by a vision of a bike – a buddy who you want to hang out with, who impresses you, who is always reliable as well as endurable. The basic inspiration for this bicycle are frames from the beginning of the 20th century – more bevelled backwards. Not only they look good, but also they are more comfortable than sport bicycle frames. 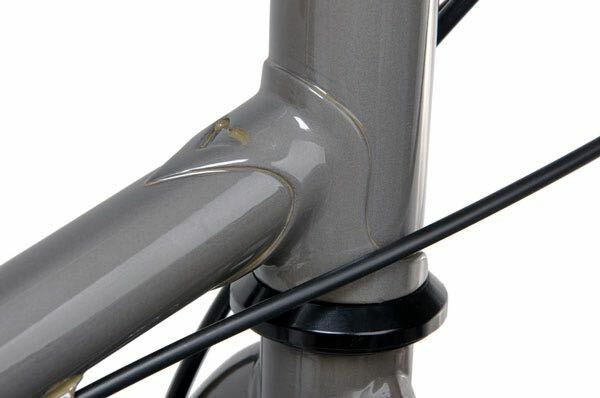 The slim chrome-molybdenum steel frame is manufactured by classical soldering into joints. It would be a pity not showing off such work and therefore we only finish them with a transparent varnish. The grey-brown shade of the raw steel with the mild metallic effect is decorated with brass veins of soldered joints. The Traffic is the product of the company Citybikes s.r.o. and it's manufactured in the Czech Republic. local manufacture of the frames. It's our pleasure to take our part in the rebirth of this traditional and formerly abundantly widespread craft. The Traffic is beautiful, oh yes. 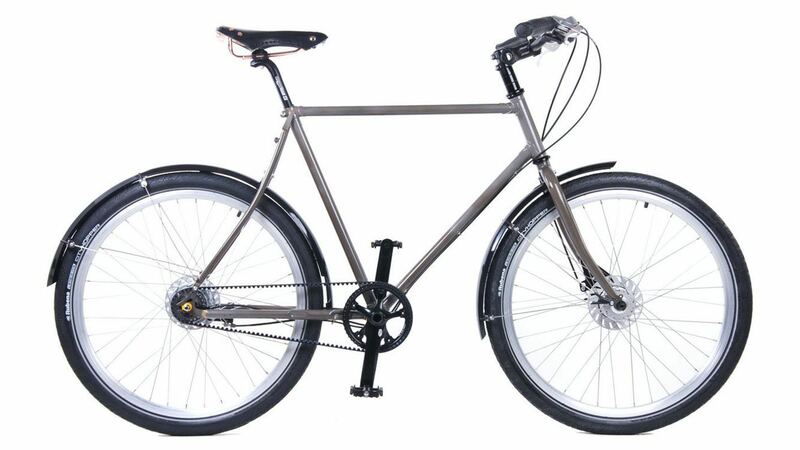 Nevertheless, it isn't our only concern to make a good looking bicycle. 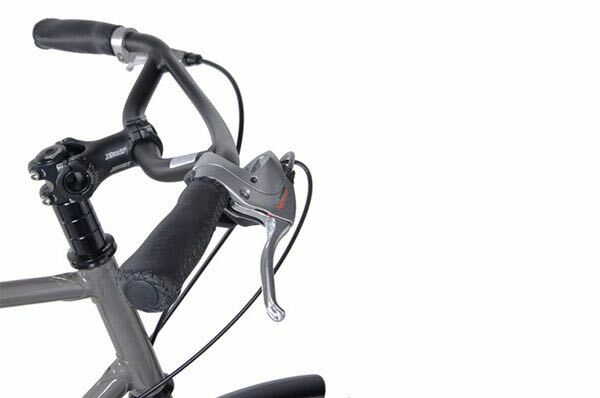 We select components that enable you to use the bike every day with minimum maintenance. 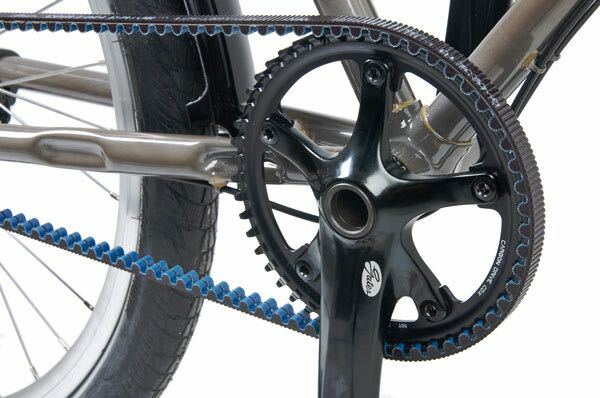 Carbon Drive Belt – replaces the traditional chain. It doesn't need to be oiled, it won't get your cothes dirty, it won't stretch and it's silent. 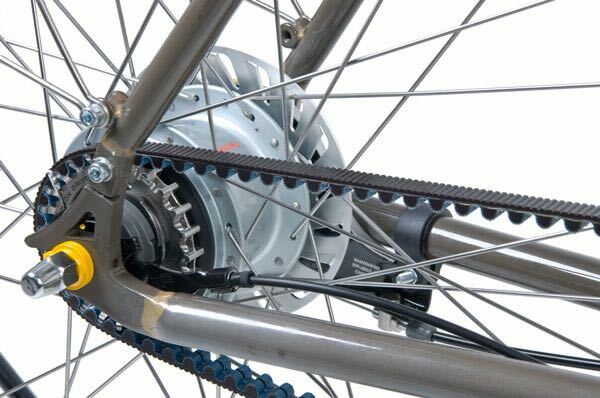 Gearbox in the rear hub – besides other advantages compared to front derailleurs, this doesn't need any common maintenance. Roller brakes – the only brakes with a practically unlimited lifetime. They don't produce any abrasive dust and they aren't sensisitive either to weather or to a rough treatment. 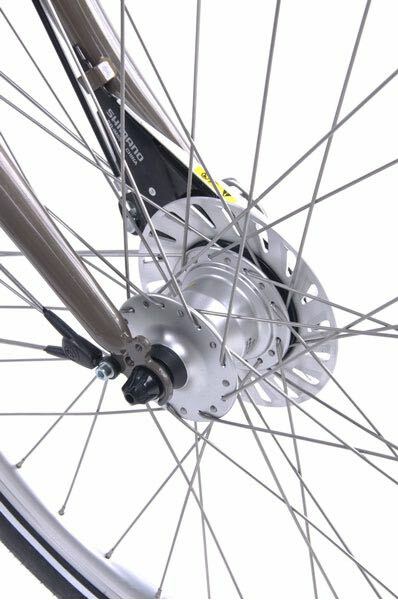 The tires contain high puncture resistant tubes, thus fundamentally lowering the probability of a defect. 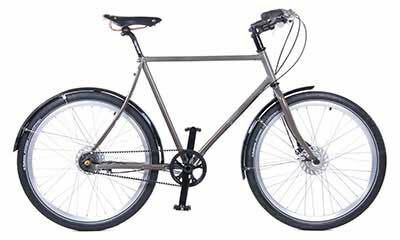 Our ambition is that you use the Traffic bicycle every day - both as a mean of transport and in your free time becoming a part of your life. It shouldn't give you troubles regardless your technical skills, terrain or weather conditions. 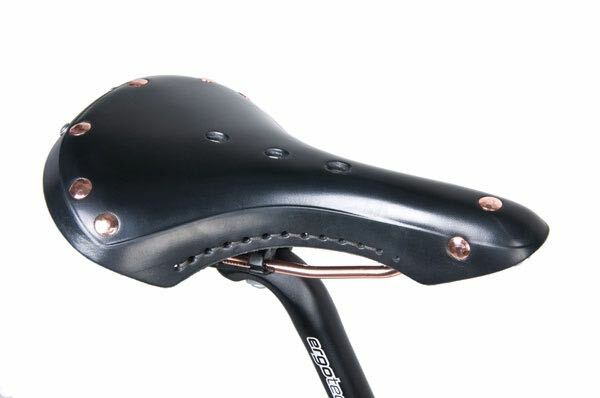 The leather saddle and grips will eventually make the bicycle „fit“ you like a glove. 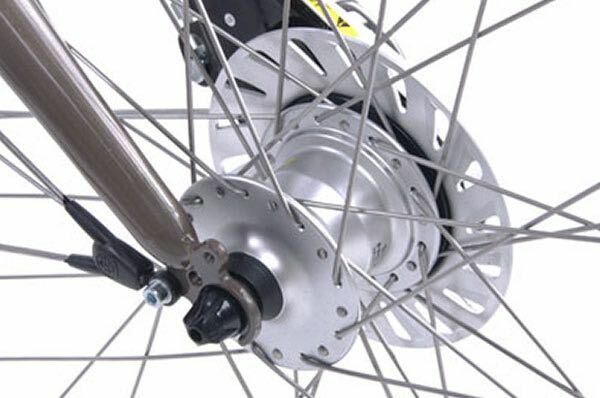 You can change up to eight gears not only while riding but also before a start up a steep hill. 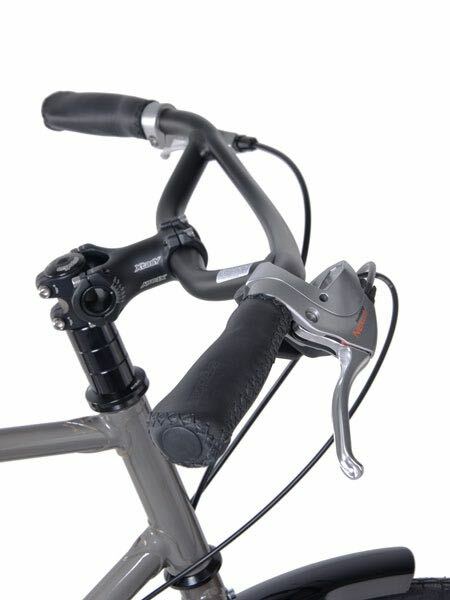 The bevelled frame provides a favourable distance of pedals during the ride as well as the distance of the seat from the ground at the moment you are taking your foot off the bike. Pedals HHumpert MTB SL, alu, bearing diam. Price of uban bicycle Traffic is 36400 CZK including VAT. Lines: 101, 124, 135, 139, stop Kodaňská, walk downhill Tolstého street 110 yards, then turn right. From the motorway D1 exit Spořilov, Vršovice. Go straight on to the crossroads of streets U Slavie and Vršovická (at the Tesco store). Turn left to Vršovická street and at the crossroads with Moskevská (at Koh-i-noor) turn right uphill. Follow the rails and turn first right to Slovinská street. Pass the church and turn first right again, then go straight on up to the Citybikes shop. Free parking is available. From other directions it is advisable to access the South Connecting Road (Jizni Spojka) and exit to Vršovice.